Or could it be your narrator, Ali Shigri? 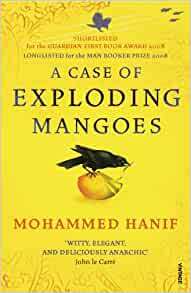 Teasing, provocative, and very, very funny, Mohammed Hanif's debut novel takes one of the subcontinent's enduring mysteries and out if it spins a tale as rich and colourful as a beggar's dream. Start reading A Case of Exploding Mangoes on your Kindle in under a minute. There is an ancient saying that when lovers fall out, a plane goes down. This is the story of one such plane. Why did a Hercules C130, the world's sturdiest plane, carrying Pakistan's military dictator General Zia ul Haq, go down on 17 August, 1988? Was it because of: mechanical failure, human error, the CIA's impatience, a blind woman's curse, generals not happy with their pension plans, the mango season or could it be your narrator, Ali Shigri? Teasing, provocative, and very, very funny, Mohammed Hanif's debut novel takes one of the subcontinent's enduring mysteries and out if it spins a tale as rich and colourful as a beggar's dream. Mohammad Hanif is touring the reader through the dilemma of Pakistan's society, and unlawful empowerment of political and bureaucratic network which is controlled by the country's defence authorities and most of the time by Military. A Case of Exploding Mangoes, discusses the highly bitter facts of Pakistan's history and dictatorship era in a very light and fun way, but touching all the sensitivity of the topic without a fear. The writer no doubt knows the thirst of reader for exploring the truth dumped underneath the heavy boots steps of military dictatorship and dirty games of bureaucrats. A highly recommended read, which reader surely love to read again and again. 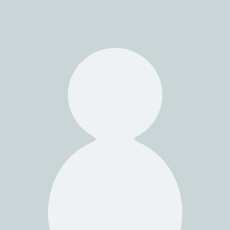 Azra Syed- journalist / researcher. I think I love Mohammed Hanif's storytelling. If you want to know more about Pakistan, and why it is what it is today then read this story. It tells us about the era of General Zia the Dictator responsible (with the help of our Arabian friends) for the political islamisation of a great country. Told with humour and skill. I couldn't put it down. We were reading another book by Hanif for Bookclub and I picked this up out of curiosity. I'm so glad I did. It takes a while to get into partly because there are here strands in the book and you need to read it in longer than 10 min bursts but it's funny and engaging. I won't go into the plot as you can read that in the book but definitely worth a read. Amazing read! One of the best books I've read this year. Gives insight into Pakistani culture albeit satirical. Refreshingly hilarious. This book made me giggle a lot being pakistani I enjoyed it a lot. Well written. A must read. Arrived in excellent condition although it was described as used. Thoroughly enjoyed reading. Very serious subject matter wrapped in great humour.